The Early Years Learning Framework has been incorporated in the National Quality Standard which ensures delivery of nationally consistent, quality child care and education programs. There are three concepts that come from the Early Years Learning Framework and that is Belonging, Being and Becoming. Belonging – acknowledges children’s interdependence with others and the basis of relationships in defining identities. Being – recognises the significance of the here and now in children’s lives. Becoming – reflects the process of rapid and significant change that occurs in the early years as young children learn and grow. Our routines allow time for individual play/learning, small group play/learning and large group play. We encourage children to be curious, to ask questions and learn from each other, their environment and the stimulus we provide them. Our school readiness programs, also known as pre-school programs and Kindergarten programs aim to achieve a smooth transition for all children from preschool to primary school. The transition is not just from preschool, but from a small scale to large scale interaction and an environment from children of limited ages, to children of many ages. School Readiness programs benefit children and promote active engagement with other children, provide nurturing and emotionally supportive relationships to ensure children are responsive to cultural diversity, foster social and emotional skills. The program promotes early literacy and maths skills; all vital elements to achieving a successful and smooth transition to school. With specific programs and materials, your child will be one step further to a prosperous education. 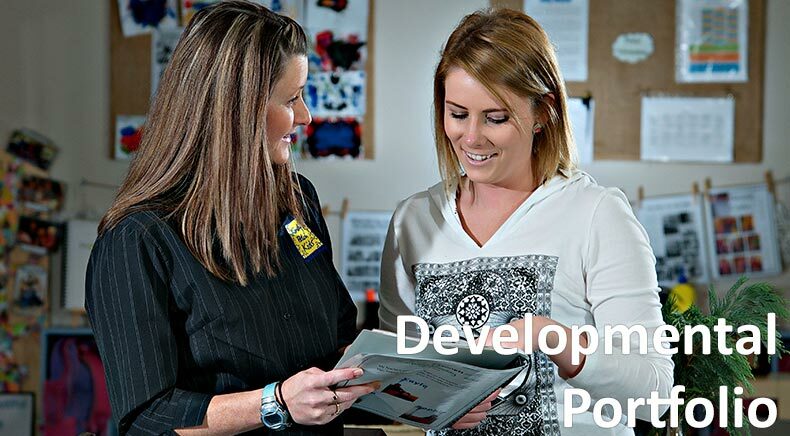 Each child receives a personal development portfolio as a record of their achievements at the centre. The portfolio includes a collection of observations, photos, artwork and other examples of the child’s learning and development. The portfolio is a keepsake for families to look back on their child’s achievements whilst being under our care at Kindy Patch. Kindy Patch Centres provides an age appropriate warm, welcoming and supportive environment where children are encouraged to learn, play and grow. All of our facilities are designed to actively encourage learning. Purpose built facilities that ensure that surroundings are suitable and safe for all children in our care. Kindy Patch Centres boast qualified early childhood professionals and educators who provide educational learning programs based on children’s interests, strengths, abilities and choice.